The Concerned Militant Leaders, CML, of the oil-rich Niger Delta region of Nigeria has declared that 24 soldiers captured during their encounter with military men on the morning of Friday, September 30, 2016 will not be released, The Sun reports. 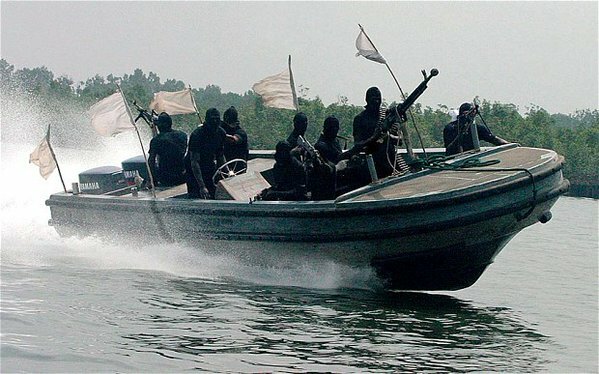 Also, the CML debunked the claim by the military that seven suspected militants were shot dead during the exchange of gunfire, which occurred along Bakassi Peninsula waterways. Spokesperson of the dreaded militant group, simply identified as General Ben, stated on Saturday, October 1, 2016 that he did not lose any of his combatants, adding that members of the public should discountenance the report. General Ben disclosed that the captured 24 soldiers were on board a military gunboat Pilot 1, MB12 also known as Thunder Boat. He threatened to “execute them at the appropriate time”. But in a quick reaction, the spokesperson of the Nigerian Army, Colonel Sani Usman, debunked the claims that soldiers were being held captive by the militants. “There is nothing like that,” Usman wrote in a text message to The Sun. The militant leader, General Ben, who claimed to be “in control of Bakassi/Calabar territory”, admitted that some of his men were severely wounded in the encounter, but not bullet injuries. He said his “rugged boys” were affected by a chemical substance, which was aerially spread by a military aircraft. “My boys were wounded today, but I didn’t lose any of my men,” General Ben maintained. “They (soldiers) will now claim they have killed us. It’s not true. What the plane spread around here I suspect, was acid. “It cannot kill us because we know what to do. “We will decide what to do with the 24 soldiers captured. Their Pilot 1, MB12 Thunder Boat is in our custody. This is our territory and they cannot escape from our domain because they have crossed our border. “We have been quiet for a while, studying events in this country. “We have discovered that the government does not care how people fare. Instead, the situation is getting worse and out of control on a daily basis,” he said.